D38999 Series III circular connectors are high-performance cable to panel interconnects suitable for military, aerospace and harsh environment applications. NYKCS is a fully approved value-add distributor (VAD) for Conesys. We can, therefore, assemble connectors to meet your specific requirements. Contact us today for the best price and fast delivery. The MIL-DTL-38999 Series III range of military connectors (commonly known as D38999 III) features a number of body styles, contact termination options, body materials and platings. 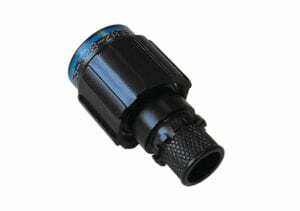 Consequently, these connectors suit a wide variety of electronic, mechanical and environmentally demanding applications. Up to 128 contacts are available in a number of defined high-density insert arrangements with a reliable tri-start coupling. We are the most competitively priced supplier of approved MIL-DTL-38999 Series III connectors. NYKCS is fully approved to AS9100 Rev D and can assemble to meet your requirements. Contact us now for fast turnaround in 24 hours from receipt of order. In-house assembly enables NYKCS to supply a huge range of approved components quickly and efficiently. Thereby meeting each customer’s specific requirement for MIL-DTL 38999 Series III. The assembly facility is fully approved to AS9100 Rev D. This provides end to end traceability and documentation that meets the needs of the most demanding supply chain. The latest workflow management solutions enable NYKCS to support complex order books and short production runs of MIL-DTL-38999 alongside our extensive range of mil-spec interconnect products. Random Vibration per MIL-STD-1344, method 2005, test condition V at ambient temperature and test condition VI, Letter “J” at elevated temperature. Durability: Minimum of 500 mating cycles. 1. How and where will this connector be used? The available Shell Style's support various mounting options to suit your application. 2. What environment will this connector be used in? The available Service Class's support a range of environmental specifications to meet the demands of your application. 3. What are the electrical requirements? The Shell Size will be dictated by your circuit demands so, therefore, your Contact Arrangement. 4. Which half of your circuit is active? This will define your Contact Style, i.e. whether your connector should have Pins or Sockets. 5. Do you need to prevent mismating with similar neighbour connectors? Define if your connector needs a Polarising Position or insert N for none. The tables below will assist you to construct an official mil-spec part number for a MIL-DTL-38999 series III connector. 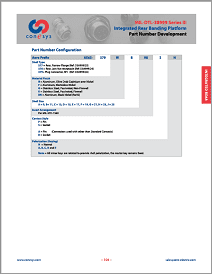 Many of the connector OEM’s have their own proprietary part numbers which we can cross-reference to and from the mil part numbers. 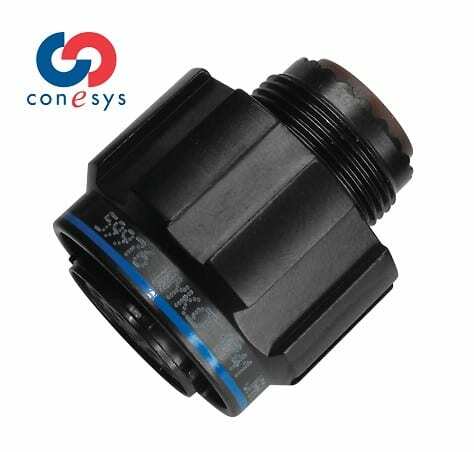 NYK Component Solutions assembles in-house for Conesys and is also a distributor for other leading OEM’s. We are in a unique position to provide unbiased advice for you to meet your technical and logistical requirements. Polarization Notes: Numbers in table are angle of rotation in degrees. 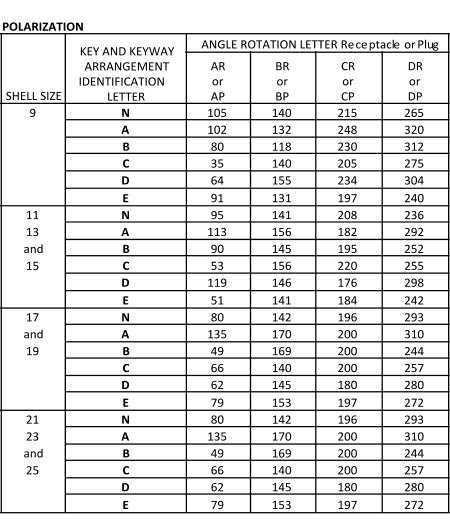 Keyway identification ‘N’ is normal. Insert arrangements do not rotate with the main keyway. The one-piece shell construction completely integrates the straight backshell enabling screen termination by either band or spring. They are manufactured in both aluminium and stainless steel with various plating available, including Black Zinc Nickel across the 3 shell styles. Need accessories? 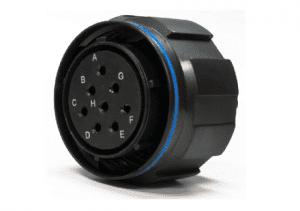 These circular connectors can be ordered with a very broad range of compatible accessories to suit different cable and installation requirements. Some of these can be found on the connector backshells and accessories Page. Your NYK Component Solutions specialist can advise you further.